Sitara Akbar, an 11-year-old resident of Chiniot, set a world record by passing O-level English, Mathematics and Science, Geo News reported on Sunday. This is not the first time that the eleven-year-old girl from Chanab area of Chiniot had dazzled the world with her brilliance. She had passed O-level Chemistry in nine years of age, hitting a record in Pakistan. 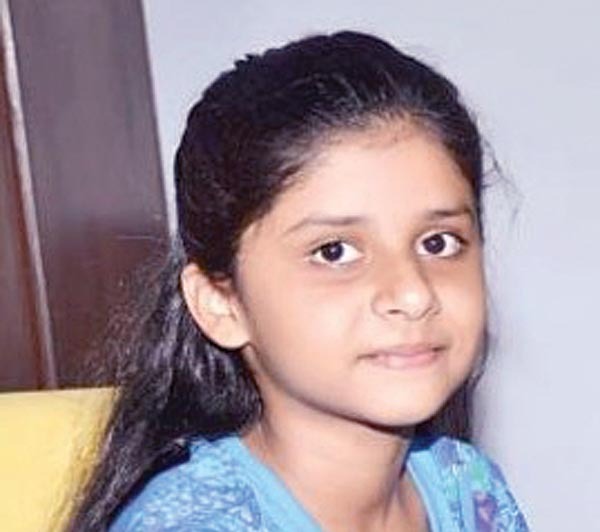 Sitara then went ahead and succeeded in setting her first world record after passing O-level Biology at the age of 10. Sitara Akbar recently pushed the bar up for the world by hitting a new record by passing English, Mathematics, Physics, Chemistry and Biology in O-level. Thats how things work in Pakistan, ask too many questions and you are out! And I failed at it in my later teens : | ….FAIL on my part. yes Bilal you are absolutely right. In future this brain will become part of the brain drain ………….. If she lives! Pakistanis have a habit of killing off our talent. This is so stupid. The people of this country are so stupid they consider it an honour to pass O levels. hahaha. btw may i know whats your qualification? and please do honor us with your qualification only if u have passed this o level at the age of 7. if u can not appreciate anyone, please dont be racist or feel inferior. passing o levels is not of importance here but doing the deed at such young age is. read the article again before posting lame comments. I think this Rani has not even seen a school gate. Stop being jealous. Ask what you want to ask, only one child of Pakistan is enough to give you answer. this is not fair . we should appreciate sittara . she has done a wonderful job. minimum i feel honour that a pakistani child did this. Rani tum ko Aqal nahi ani. She Pass O level in the age of just 9. Tum Khoti ki khoti ho gae thi phir behi O Level nahi kiya. lol. Tum Ghadi ho na itni jaldi samjh nahi aey gi tum ko yeh bat. Rani this is fact that illiterate people like you never consider the prestige and honor of such achievements. I don't think you have read this news report correctly. This news is not about passing O-Levels, it is about passing the exams at such a young age which indeed is a big achievement the world over. Think before you post your comment. This is our future and hope for the better days ahead, it proves that given the opportunity and chance to excel we can perform miracles.WELDONE, you make us proud. Obviously this Rani doesn't understand that Sitara Akbar is just 11 years old – an age when Rani herself could not even spell Marmalade. I passed O levels in 1960 just a few days before my 15th birthday and everyone thought I was a genius – and they were right. Today at 67 I can look back and see how far I have come considering I was an orphan at 8 months, O levels at 15 – started earning Rupees 75 a month at 16 – bought a sports car at 18, traveled all over the world between 1971 and 1990: Paris 7 years, London 3 years, Abu Dhabi 3 years, Washington DC 6 years and finally back home with my lovely wife. I wish and pray that Sitara is as fortunate as I was. Very nice comments K.Za, Rani I think you have some phycological problem, I am sure you are not smart as Sitara. Please don't critisaize other and learn how to appreciate others. May Allah help and guide you. Well done Sitara, you are the star of our country, keep up the good work. Passing O level exam is nothing. How many of your toppers have done anything useful. This country lacks proper recognition and appreciation of talents. Passing O level exams has nothing to do with talent. Fix your English before posting stupid jealousy comments. passing O levels exam at the age 9, i think its a huge achievement for the girl, we should atleast appreciate it, so that she can work even harder in future. We must appreciate. Its an achievement without any doubt. We all must feel proud of our young generation. Alhamdulilah. and those who are saying its not a big achievment or it does not show talent, please just think what u were at the age of 9 or 11. Many Congratulations to this passionate Pakistani girl…….. The story is too brief. Such achievements are not made every day. Therefore, the Editor should arrange for at least a full-page interview of the girl. Rani :There are so many success stories of Pakistani toppers if you don't mind please go and bother reading it then to sit on your laptop and do nothing and just comment on others hard work.. what this country definitely does not lack is people like you who cant do anything themselves but have the audacity to comment their judgements on others. and it doesnt teaches to rote learn! !it inculcates healthy learning! !so please change ur thinking!! It is not Ranis fault. Probably so much of negative has been happening in our country in the recent years that she is not able to distinguish between bright and dark. Let us pray for Rani and pray and appreciate Sitara Akbar. God may give us many more genius like Sitara Akbar. I wish media gives still more coverage to this meomrable event so that minds may get rid from the depressing news coming all the time from Pakistan. She surely deserve a pat and appreciation from all Pakistani’s so that she alongwith all other brilliant students should get motivation to do more wonders in their studies because after all they are our future, well done sitara. Pakistan future is now in their hands. Masha Allah…… God bless you "o Baby of Pakistan,"
taking good care of her further education levels. congrats to the parents of Sitara ! Why was our press reluctant to mention that the she is from Rabwah ? Her detailed interview has already appeared in u-tube. Well done!! She needs encouragement and schools like LGS and BSS should admit her on full scholarship. One suggestion for this child, apply for LUMS NOP. In LUMS NOP, education in LUMS is totally free and even living costs. I think Rani is doing nothing else but has moved the commentators to think about her. May Allah Bless you Sitara. Media and news has attempted to hide the fact that the student is from the world renowned Rabwah, an Ahmadiyya established town, later named 'Chanab Nagar' by Punjab government, in their enemosity to the Ahmadiyya community. Hi Sitara, I am Tayyabah, mother of two small school going kids, when I heard this good news , really wanted to fly to Pak and congratulations to your parents, becoz of ur acedemic records we are giving motivations to our kids, excellent….the whole nation is feeling proud and looking forward irrespective of politics. Rani, sadly, may possibly have a condition that leads to her seeking attention and thereby results in her inability to connect with the subject in a 'normal' manner. If I'm correct, then I certainly hope that she gets the help she perhaps needs . . AND that people will be a little more understanding of her disposition. God bless and continue to guide Sitara for bringing such reward to her parents and the nation. God bless and guide Rani . . . . . . and all our children. Ameen. She is from the Ahmadiyya Community and from Rabwah (Chenab Nagar). We Pakistanis should be proud of this fact and not hide it. Well Done Sidra we are all proud of you. She for sure hails from Rabwah(new name Chanab Nagar) Any way well done Sitara it's an exra-ordinary achievement. Allah ap ko Es se bhi Zyada apne Enaam-o-Karam se nawazy(Ameen). she came to my school for an admission in a-levels…she could barely be seen standig on the stage…she is tiny!!! well done girl, readers please dont bring faith in it, She is Pakistani and she has done very well full stop! Well done little girl.I only hope she is not a ahmedia.This create huge embarrassment for believers. God given gift to a child of Pakistan, should be thankful for that. Congats! Sitara, there will be more educational achievements for you in near future. We proud of you dear Sitara ! Always shine like sitara . keep hard working and make our country proud like Arfa , Moosa etc …. congratulation you are little angel keep it up. An outstanding achievement however it is measured. Rani's criticism is dumbfounded! I'd like to know what she herself achieved below the age of 11? WE R PROUD OF YOU SITARA AND SURE THE GOD ALMIGHTY WILL BLESS YOU MORE AND MORE ACHIEVEMNTS . WE R PROUD OF GENIOUS DAUGHTER OF PAKISTAN. Well done to her over the extraordinary performance. Hats off. Many many congratulation to her parents over the result. Keep it up Sitara. Yet another reminder that Pakistan has one of the world's best education system in place. Congratulations to Sitara and her Parents……. SHE IS AMAZING……. i still cant believe this is even possible!!!!!!!!!! I did my O'levels at at age 15 in 1988 and I remember waking up at 5 am every morning to study starting 3 months before the final exams. It was grueling to say the least. Then I went on to do my A'levels, went to college in the US where they gave me a full semester off just because I had completed my O's and A's. I ended up graduating college in 3.5 years instead of 4. For this girl to have done her O's at age 11 is nothing short of mind boggling brilliant. Mashallah keep up the great work Sitara.